From the CBC Books unit, this year’s round of celebrities are gearing up for the robust debate that makes ‘Canada Reads’ unique among the world’s national reading programs. One of the most unusual and engaging public-reading programs, Canada Reads this morning (January 31) is announcing its 2019 list of five books and the celebrities who have chosen to advocate in for them in a nationally televised debate. What makes the program unusual is both its format and the depth of its examination of contemporary literature. For publishers, having a title chosen for the Canada Reads program means a big boost in exposure and book sales, as several Canadian publishers told Publishing Perspectives last year. The five celebrity panelists not only are encouraged to choose books that reflect today’s political landscape and social challenges but also to argue vehemently for the prominence for each of their titles. 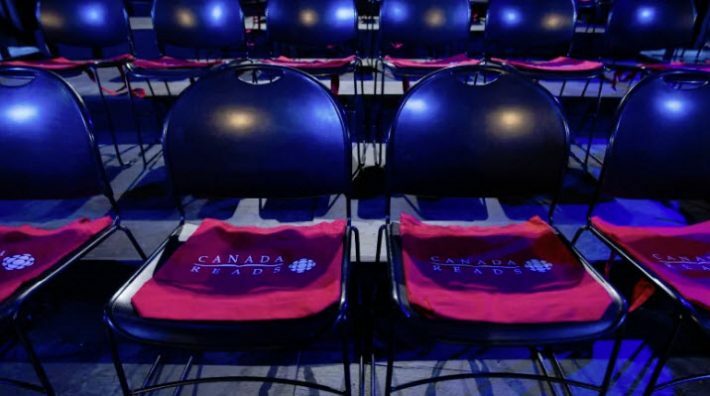 The program—in which the producing company CBC Books says those panelists “fight for their books to become Canada’s must-read title”—culminates in four live hourlong ‘Canada Reads’ debates which will play out in front of studio audiences in Toronto from March 25 to 28. Each day of the competition, one book is eliminated until the winner is chosen on March 28. But one of the strongest points about the show’s design is the fact that once a celebrity advocate’s book is voted off the table, that personality doesn’t leave but remains to debate and discuss. In last year’s debate, panelists argued, often in pitched emotional exchanges, about the importance of issues involving equal rights, Japanese-Canadians’ internment during World War II, and racism so deeply built into a person’s childhood that the adult doesn’t recognize his or her own bigotry. This, then, is a national reading program that not only engages the population in an event in literature but also seats the Canadian market’s book life firmly in the issues of its day and its people. By comparison, the Great American Read program mounted by PBS in 2018 was a feel-good exercise in competition between books new and old, frothy and serious–basically a roll call of viewers’ favorite books. The Canada Reads debates will be broadcast each day, March 25 to 28, on CBC Radio One at 11 a.m. ET (1 p.m. AT/1:30 p.m. NT), on CBC at 3 p.m. ET (3:30 NT), live-streamed online at CBCbooks.ca at 11 a.m. ET, and available both live and on-demand on the free CBC Gem streaming service. In an interview on CBC Radio’s Airplay with Dave White, Ali Hassan, who returns this season as the show’s host and debate moderator, says, “Something about the process brings out the competitive juices. “As a panelist, you get to meet the author, you get to hear why the story was written, you get to hear about the people who were involved in the whole process that made this book a reality. And all of the sudden there’s something on the line. You believe in this. And you [feel like you] have to win this for other people. As the program points out in its media messaging today, past winners of the Canada Reads have included Forgiveness by Mark Sakamoto, in 2018; Fifteen Dogs by André Alexis, in 2017; The Best Laid Plans by Terry Fallis, which began as a self-published book and won Canada Reads in 2011; and The Book of Negroes by Lawrence Hill, which won in 2009 and was broadcast as a mini-series on CBC in early 2015. 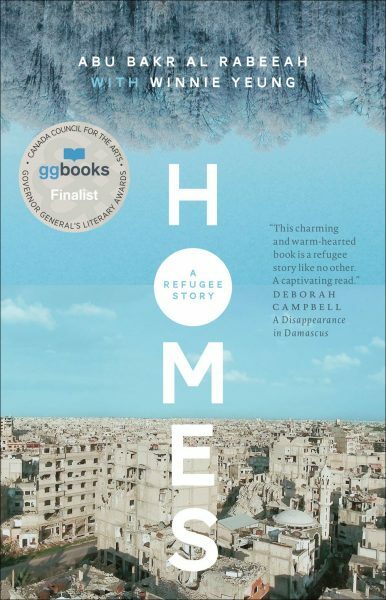 Homes: A Refugee Story by Abu Bakr al Rabeeah with Winnie Yeung (Freehand Books): In 2010, the al Rabeeah family left their home in Iraq in hope of a safer life. They moved to Homs, in Syria—just before the Syrian civil war broke out. Homes tells of the strange juxtapositions of growing up in a war zone: horrific, unimaginable events punctuated by normalcy — soccer, cousins, video games, friends. Homes is the remarkable true story of how a young boy emerged from a war zone — and found safety in Canada — with a passion for sharing his story and telling the world what is truly happening in Syria. 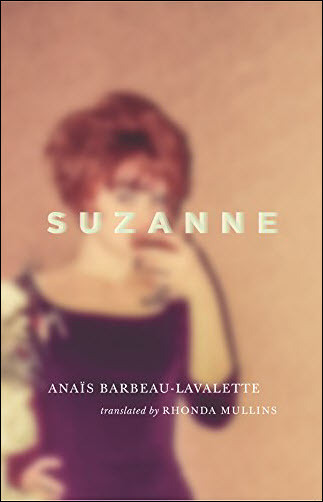 Suzanne by Anaïs Barbeau-Lavalette, translated by Rhonda Mullins (Coach House Books): Anaïs Barbeau-Lavalette never knew her mother’s mother. Curious to understand why her grandmother, a sometime painter and poet associated with Les Automatistes, abandoned her husband and young family, Barbeau-Lavalette hired a private detective to piece together Suzanne’s life. Suzanne is a fictionalized account of Suzanne’s life over 85 years, from Montreal to New York to Brussels, from lover to lover, through an abortion, alcoholism, Buddhism, and an asylum. 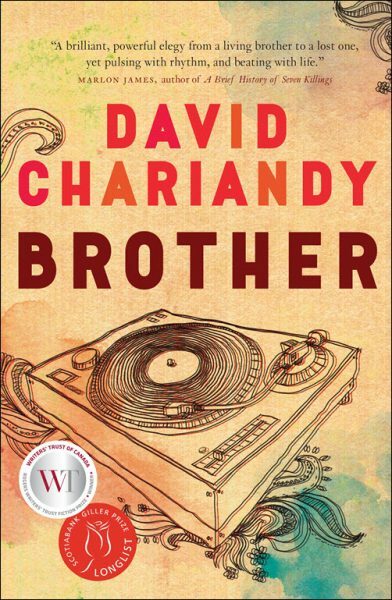 Brother by David Chariandy (McClelland & Stewart): Brother takes us inside the lives of Michael and Francis, sons of Trinidadian immigrants. Their father has disappeared and their mother works double, sometimes triple, shifts. Coming of age in The Park, Michael and Francis battle against the careless prejudices and low expectations that confront them as young men of black and brown ancestry. Propelled by the pulsing beats and styles of hip hop, Francis, the older of the two brothers, dreams of a future in music. Michael’s dreams are of Aisha, the smartest girl in their high school, whose own eyes are firmly set on a life elsewhere. 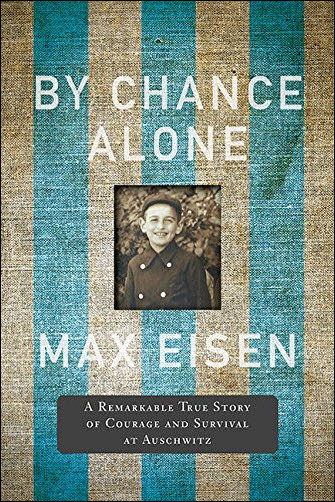 By Chance Alone: A Remarkable True Story of Courage and Survival at Auschwitz by Max Eisen (HarperCollins Canada): Tibor “Max” Eisen was born in Moldava nad Bodvou, Czechoslovakia into an Orthodox Jewish family. But in the spring of 1944 gendarmes forcibly removed Eisen and his family from their home. They were brought to a brickyard and eventually loaded onto crowded cattle cars bound for Auschwitz-Birkenau. At fifteen years of age, Eisen survived the selection process and was inducted into the camp as a slave labourer. One day, Eisen received a terrible blow from an SS guard. Despite his significant injury, Orzeszko saved Eisen from certain death in the gas chambers by giving him a job as a cleaner in the operating room. 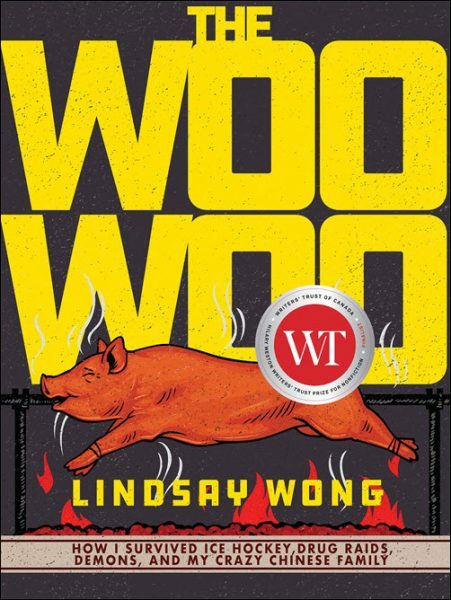 The Woo-Woo: How I Survived Ice Hockey, Drug Raids, Demons, and My Crazy Chinese Family by Lindsay Wong (Arsenal Pulp Press): In this jaw-dropping, darkly comedic memoir, a young woman comes of age in a dysfunctional Asian family. Lindsay Wong grew up with a paranoid schizophrenic grandmother and a mother who was deeply afraid of the “woo-woo”—Chinese ghosts who come to visit in times of personal turmoil. From a young age, she witnessed the woo-woo’s sinister effects. The eccentricities take a dark turn, however, when her aunt, suffering from a psychotic breakdown, holds the city hostage for eight hours when she threatens to jump off a bridge. Again, Hassan talking to White: “I just love being part of a national debate—a national event—that’s a great feeling. “But also, Canada Reads kind of restores my faith in humanity every year. You get to a point where you’re like, ‘Is anybody reading anything?’ ‘Does anybody care about literature?’ And then you’re reminded about how many people get engaged in this process. And here’s the video from an interview with all five panelists from the radio show q on cbc with Tom Power from today’s announcement events. You can follow the course of this season’s Canada Reads events using the handle @CBCBooks and hashtag #CanadaReads. More from Publishing Perspectives on book awards is here. And more on ‘Canada Reads is here.